Anselm Winfried Müller, the Chicago Moral Philosophy Seminar Visiting Professor in the Department of Philosophy, gave a lecture entitled “What Do We Live For?”, where he outlined the conflict between living for moral perfection and living for our own well being. Müller argued that the practical question of which type of life to pursue can only be “meaningfully asked, but not argumentatively answered by philosophy.” He traced through several philosophers and philosophical movements that attempted to answer how we should live our lives, and pointed out their weaknesses. Müller found Stoicism, Aristotle, Epiricus, the “Tragic View” or the idea that the “virtuous life is doomed to involve suffering,” Kant, and Immoralism each unsatisfying. “Philosophy, though certainly called upon and able to give a fuller and more accurate account than presented here, of the matters at issue, may yet be unable to take the discussion of this topic far beyond the point or points that this lecture has taken it,” Müller said. 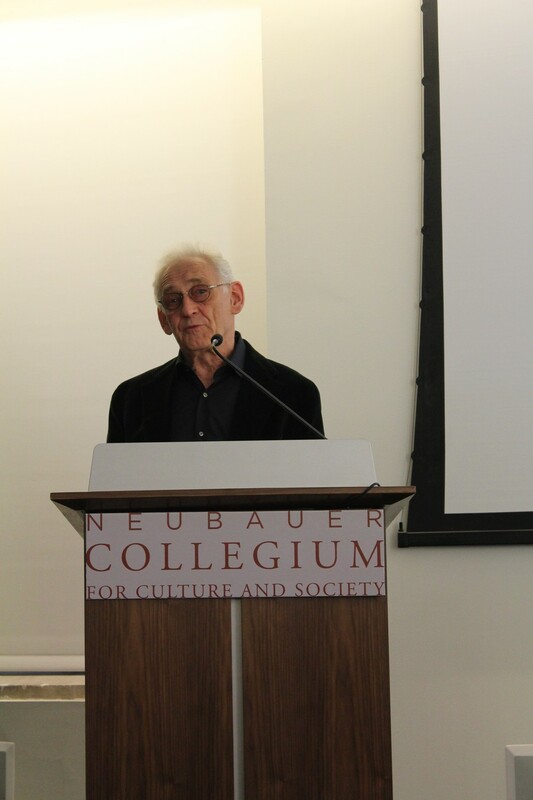 Müller’s lecture was a part of the larger Virtue, Happiness, and Meaning of Life initiative, a 28-month project funded by the Templeton Foundation. The initiative believes that self-transcendence—the feeling of belonging to something bigger than oneself—is the foundation of a virtuous and meaningful life. To study how self-transcendence can help make virtuous living lead to meaning and happiness, the initiative attempts to bring together theologists, philosophers, and psychologists. Müller, also Professor Emeritus at the University of Trier, is part of the Visiting Scholars Program, which brings scholars to teach courses at the University of Chicago which relate to the Virtue Initiative’s research. Müller is teaching the course Final Ends this quarter. The other visiting scholar is Stephen Brock, who is the Professor of Medieval Philosophy at the Pontifical University of Santa Croce. Müller and Brock were chosen to be part of the Visiting Scholars Program for their interest in the virtue ethics of Aquinas, which the initiative is focusing on. Candace Vogler, one of the two Principal Investigators of the initiative, mentioned that Aquinas scholars are not commonly available, so the Visiting Scholars Program does the initiative a great service by bringing them to the University. “The great thing about undergraduates is that you have no idea where they are going to wind up. So, if it is useful, and fruitful, and productive for them, they will take whatever they get to wherever they wind up, which could be anywhere,” Vogler said. Vogler suggested that lectures like the one Müller gave might provoke us to think differently about how we live our own lives. “Human beings whose thinking is affected by this stuff are the real important outputs [of the initiative],” she said.